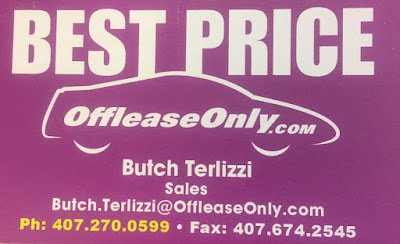 To tell people how to save money buying from Off lease only in Orlando and posting prices is not going to work. I am not updating the prices to stay current. I have the link in the above line set to the Orlando, Florida location. If the location isn't right make sure you are looking in Orlando. Price airline tickets one way to Orlando airport look at Delta Air lines. Do not factor what your vehicle is worth. Sell your vehicle locally to a private party. On the internet a 2017 Mercedes Benz C Class C300 Sport 4Matic AWD in Atlanta for $38,328.00 on the other hand 437 miles away you can get the exact vehicle for $34k. Four thousand dollars less. I guess if you don't want more car for your money or maybe you don't care about saving money then go local and piss away your money..
2015 Lexus GX 460 $44,414.00 current price in Atlanta at a dealership and Off lease Only doesn't. 2015 Lexus GX 460 $37,999. $7000.00 difference. The Atlanta dealership no doubt charges between 599.99 to $900.00 dealer fees and Off lease Only does not charge a dealership fee. 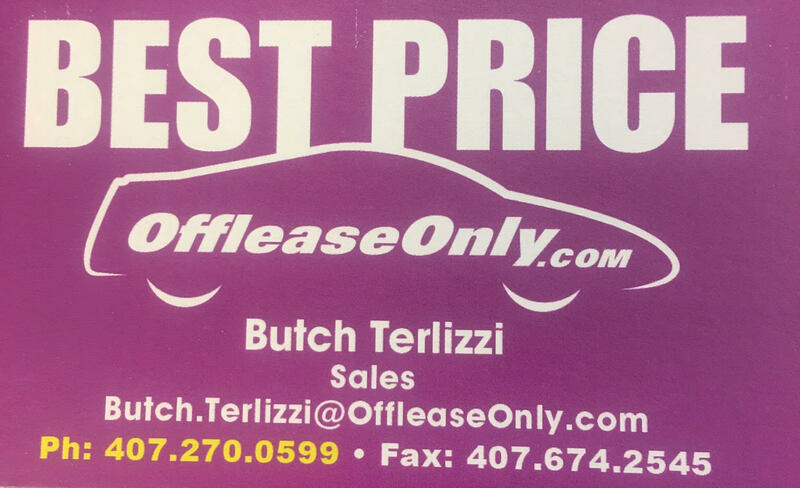 Off lease only charges $20.00 over the listed price on their website. This is for a tag transfer. I chose to pay tax in my state when I got back and needed a tag. 90 days later. Off lease Only in Orlando is $17,010.00 drive out price. Five grand savings. Yes you have to fly to orlando. No you do not have to spend the night. Call 1-855-975-7950 ask to speak to a sales person in Orlando, Florida. Tell the person in orlando you are an out of state buyer. September 17th, 2016 my wife and I went to the Off Lease Only in Orlando, Florida. I had reserved a 2014 Honda CRV EX with 21,000 miles on it. Awesome deal. The sales person at Ed Voyles Honda on highway 41 in Smyrna, GA would not match the price. Too bad so sad I at that moment knew off lease only was the only place I was going to get a deal on the CRV. Taxes and tag I will take care of in Atlanta. Consider flying to Orlando Friday night or early Saturday morning. They will come and pick you up at the airport. Be at the Off Lease Only first thing in the morning on a Saturday with a cashiers check in hand. Once you are done then head back to Atlanta. The drive home was six hours on a Saturday. Lastly off Lease Only.com never asked me to write this story They wouldn't give me a discount what they did was save me money and that is good enough for me. Call 1-855-975-7950 ask to speak to a sales person in Orlando, Florida. Tell the person in orlando you are an out of state buyer. Tell them The guy from Atlanta that bought the Honda CRV sent you. My commission is saving people money and stopping Atlanta dealerships from stealing our money. On the website is information for out of state buyers. Check that out. All the salespeople are paid by the hour. No commissions. They just want to sell the vehicles. Fly in check it out buy it using a cashier's check drive home. Fly in check out the vehicle you have reserved then pay to have it brought to you in a few weeks. If you end up saving a few thousand like I did then it is all worth it. Call 1-855-975-7950 ask to speak to a sales person in Orlando, Florida. Tell the person in orlando you are an out of state buyer. Tell the sales person in Orlando The guy from Atlanta that bought the Honda CRV sent you.